I really enjoyed this novel. It is a satire on family relationships, consumerism, Big Pharma and marriage, among other topics. 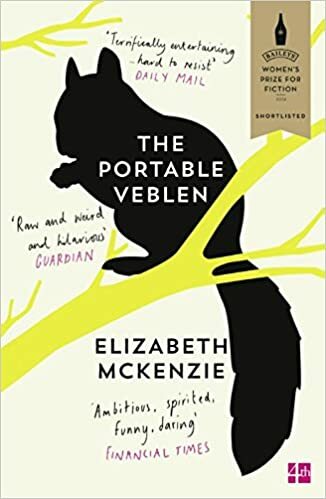 Veblen Thorstein, the protagonist, is a very sympathetic character – confused, vulnerable and determined to be honest with herself. The plot gallops along, the book being warm and witty, fantastical but also richly human. Yes, what a lovely sentiment and wonderfully chosen words by Elizabeth McKenzie. I don’t suppose many teachers find themselves in that position very often!